The Klagan Regency houses one of the largest ballroom in Kota Kinabalu, the Klagan Regency Grand Ballroom, a purpose built, pillar-less with state-of-the-art convention and exhibition facility with the ability to accommodate international and local conventions, trade shows, public exhibitions and entertainment events. 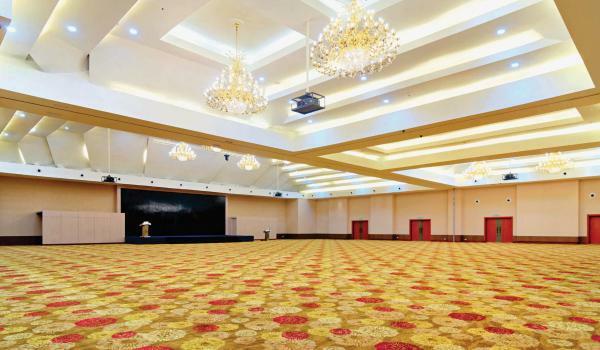 For smaller capacity events, The Klagan Regency is fully equipped with three (03) meeting rooms, two (02) of which can be broken up into two separate rooms, making it a total of five (05) meeting rooms if need be. Rooms are well designed with state-of-the-art audio visual facilities. These rooms are ideal for any corporate or private events. Ask about the available meeting packages or meet with our dedicated team members to tailor make your very own event experience. All meeting rooms are located on the 2nd level. A Business Centre is also available for your convenience.